I am thinking of purchasing a USED Aqualeader Illusion pool. It is approximately 10 years old. From looking through your site I have 2 major concerns. The first is that the pool is already taken down. The second is the cost - they are asking $1000 for pool, pump etc...minus the liner of course. After speaking with the widow selling the pool I feel confident that the pool is in good condition with no rust. She stated that the reason she took down prior to selling was to check for rust because part of the pool was buried and she wanted to know that she would be able to sell it. After reading about the Aqualeader it seems that they may be less susceptible to rust. Have you had any experience with this brand? I do not want to throw money away or get into something that I cannot afford to finish. Any advice would be helpful. Thanks! I am attaching pics that were posted by seller on craigslist. Hi. Aqualeader makes a good pool and not having any rust, after being in the ground for 10 years, is great. One grand for a 10 year old above ground pool is a lot of money. It is also a lot less than a new one. The two biggest factors would be how much equipment comes with it and how old it is. The second is supply and demand. Around here there are lots of used pools to choose from and I would keep looking a while, or make a lower offer. 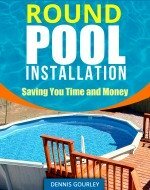 If you are lucky to fine a dozen pools a year for sale in your area, this might be a great deal. The pool looks good, the filter looks very adequate, and with a new liner, it would be as good as new. We just bought an older Aqua leader pool which needs a new liner. The sizes have changed since 2005 and we will have to get a custom-made liner for about 600 dollars. Russ at the Monroeville, PA branch of Pool City has a few older ones still in stock and may have your size. Good luck. I lost the phone number. I understand that Aqua Leader manufactured pools using metric standards prior to 2006. This forces you to order a custom fit liner for replacement. That also comes with a slightly higher price (plus shipping of course). A normal replacement liner (US) will end up with 3-4 inches of slack. If it is a j-track it is a problem. Great Escape (Midwest) has liners in the $350-$400 range with shipping. Join in and write your own page! It's easy to do. How? Simply click here to return to Ask the Pool Pro. Thinking about purchasing an Aqua Leader Illusion pool 21 ft round OR investing in a Doughboy. Hate to pass up an incredible deal on the Aqua Leader (nearly free) and purchase a new liner. My biggest concern is, can the Aqua Leader Illusion be buried 2-3 ft in the ground? I know the Doughboy pools can, but I can't seem to find testimonials from people who buried an Aqua Leader Illusion. This pool in question is 7-8 yrs old. please advise or where I can get more internet info./pix on this particular pool. Hi AnG. There is no reason why this pool cannot be buried. All above ground pools can, there is nothing that makes Doughoy any different than any of the rest. They will all cave in if left empty, anytime the dirt on the outside of the pool is higher than the water on the inside you have the potential for a cave in. That's the same with all above ground pools. They are not self sustaining without water. Over the years I have sunk pools of all makes and models and the same rules apply to all of them. Don't go to deep and never leave them sit empty. By to deep I mean I like to see at least six inches of water above the level of outside dirt. When it comes time to change a liner, drain and refill fast. Don't drain the pool and let it sit for a week or two while you order the new liner. That's the time you will get a good rain storm and the whole pool will cave in. Hi. That would not be a problem at all. Just be sure to always keep the water level of the pool above ground level. To be on the safe side you should plan on having at least a foot of the pool above ground level. I have an oval pool by aqua leader. The liner has to be replaced after 16 years. The paperwork on the pool says dimensions are 15' x 31'. I have been told it is a beaded j hook liner. The problem is I cannot find a 15 x 31 liner. All the pool companies I have called can't find that size. Could a 15 x 30 fit this oval size pool? It is 48" high. I called where I bought it and they said it is 15' x 31' but it is so much more expensive compared to 15' x 30' pool. Do you know where I can find this size liner? Thank you. Hi Sharon. I am not clear on whether the pool company had the 15 x 31 or not. I think you meant they can get it but it is so much more expensive than a 15' x 30'. If so, I'm not surprised, it is a very odd size. There is a link to the right of this page for In The Swim, they can custom make a liner any size. You may want to compare their price. It will probably be equally high, which does not help much. On a warm sunny day I could easily make a 15 x 30 liner fit a 15 x 31 pool. The more the vinyl heats up in the direct sunlight the more it will stretch. It would be even better if you could convert the j-hook liner into an overlap. That way the liner could be stretched into the pool. The weight of the water would pull the wrinkles out and the heat of the sun would allow the liner to easily stretch into this slightly larger size. A j-hook liner usually has metal rods covering the liner bead, just under the top rails. If so, converting is easy. You just need to use coping strips to hold the overlap liner into place, the metal rods go back on over the coping. You may want to look at my pages regarding overlap liners, stretching liners and what to do with the overhang. I will add one about installing beaded liners in case you decide to go that route. What is the exact diameter of a pre-2005 Aqua Leader 30' pool? Apparently it's not 30'. Hi Kristi. There is no way of telling the exact diameter of any pool unless you have the exact wall length. All makes and models vary slightly as to the exact diameters. It is really irrelevant when it comes to constructing the pool. You want the pool to be exactly round, not exactly any one size. I start by finding a center point and holding the end of my tape measure in place with a screw driver. I then lay out all the rails and connector plates. I assemble all of these and set them at the 15' radius mark. Using the tape in this fashion, like on this page, Above Ground Swimming Pool Installation, I am keeping the rails completely round. Most of the time when I get back to the beginning the rails do not meet. This is because most pools are not exactly the dimension they claim to be. Now the entire circle needs to be enlarged are made smaller. This is where most people make their first pool building mistake. It is easy to just spread the last section apart and make the connection, or draw it together if it is to large. The right way to do it is to go back and move each individual track to a slightly different radius. When you are finished you might have 14' 11", but if the rails connect and they are all round, that’s fine. That’s fine, at least for now. Now comes the part called the rail gap. This page, Diamond Star Pool Installation, shows bottom rails up against the stop in a connector plate. It's the last photo on the page. The distance between the bottom rail and the stop in the plate is called the gap and most pools have them. If you check the instructions most are very vague about this gap except to say it can be used to make the wall meet by adjusting as needed. This means you should start with a very small gap at each rail connector. You then install the wall and see how lucky you are. If you are lucky the wall will be close to meeting at the end. If you are unlucky the wall will be a foot from meeting and you will have to take it completely down and re-set all your rail gaps. After a few tries you will get the wall to meet, and still keep your pool completely round. The mistake usually made at this step is to make all your adjustment in either the last connector, or maybe the last couple of connectors. This will not leave you with a round pool. A small adjustment needs to be made in each connector, keeping the pool round. When the wall is connected inside a set of perfectly round bottom rails, you now have your exact diameter. See why I say it really does not matter?